Amy L. Craig, 36, of Branchdale, passed away Wednesday at the Lehigh Valley Schuylkill East Hospital, Pottsville. Born in Pottsville, she was the daughter of Richard and Barbara Doyle Pielacha of Forestville Pa and was a beloved wife to her spouse of 11 years Joseph Paul Craig. 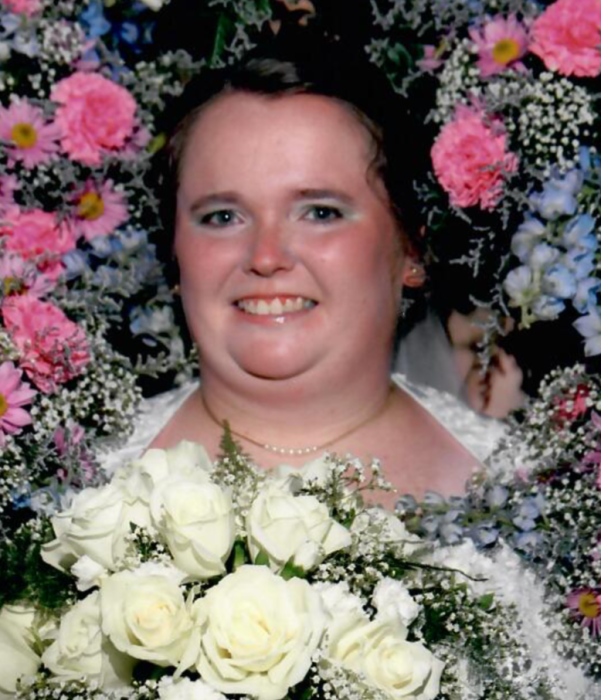 Amy was a member of St. Michael the Archangel Church, Minersville. She was a 2000 graduate of Minersville Area High School and a 2004 Graduate of Penn State University with a degree in Elementary Education. While at Penn State, she was inducted into the Kappa Delta Pi International Honor Society in Education. Amy was also able to complete graduate work at Alvernia University where she earned her Special Education Certificate. For the last five years, Amy worked as a Member Service Representative for CACL FCU. She was a member of the Citizens Fire Co. of Branchdale and the Lawnton Volunteer Fire Co. in Harrisburg. She played 8 years in the Minersville Little League Girls Softball and also played for 4 years on the Minersville High School Girls Softball team which was the 1999 PA H.S. State Champions. She was the President of the Ladies Booster Club of Branchdale where she participated in all their activities to include the Christmas activities and an Easter Egg Hunt for the children of the Branchdale community. She also served as the Master of Ceremony for the Branchdale Memorial Day Parade and Service for the last 12 years. She was admired for her extensive community service and generosity. To know Amy was to Love her. She was preceded in death by her maternal grandfather Robert Doyle and her paternal grandparents Joseph and Margaret Pielacha; an uncle, Ray Pielacha and great uncle Francis McGann and his wife Therese. In addition to her husband and parents, she is survived by a brother Mark Pielacha and his wife Cindy and their daughter Grace, Cressona; maternal grandmother Geraldine Doyle, Branchdale; father and mother-in-law John and Pauline Gilvary Craig, Harrisburg; brothers-in-law Sean Craig, New Hampshire, and his daughter Madeleine (Maddy) Craig, Mechanicsburg; Dan Craig with his wife Victoria Lynn and their daughters Bryna Rae and Neviah Hope Craig, Middletown; uncles Joseph Pielacha and his wife Janet and their son Joel and John Pielacha and his wife Lynn and their daughter Jamie Lynn. The family would also like to acknowledge several families who have played a major role in Amy’s life. The McGann family which includes Marcia McGann, Dan McGann with wife Cindy and children Danny and Rebecca, and Timothy McGann, Amy’s Godfather. The Deichert family to include James and Lori Deichert. The Drebitko family to include Dorothy Drebitko and her children Drew Drebitko and family and Sharon Kolenick, Amy’s Godmother, with her husband Leo. The entire Fitzpatrick family including Thomas Sr. with wife Maureen and their children Timothy, Shawn, Tammy, Shawna and Thomas Jr (TJ) and all of their families. The McGovern family to include Thomas McGovern and wife Carol, their children Lisa Polansky with her children Danielle, Alyssa and Aaron, Tommy McGovern and his family, and April Bowman, Amy’s closest friend since childhood, and her family. Relatives and friends may call at the former St. Mary Star of the Sea Church, State Highway, Branchdale on Wednesday from 6 to 9 PM. Mass of Christian Burial will be celebrated at 10 AM Thursday in St. Michael the Archangel Church, 539 Sunbury St Minersville. Rev Christopher M. Zelonis will officiate. Interment will be in St. Mary Star of the Sea Cemetery, Llewellyn. In Lieu of flowers, please make memorial contributions to the Ladies Booster Club of Branchdale.